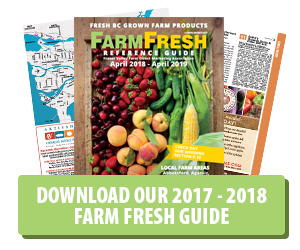 Welcome to the 2018 – 2019 edition of the Farm Fresh Reference Guide – the 23rd year of operation. 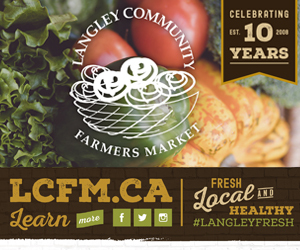 Our farmers sell what they produce either directly from their farms or at local farmers’ markets. We take pride in providing you with fresh, wholesome, quality farm products for your families. Please continue to support your local farmer! Getting married this year? Check out our new special wedding page. Our farms can help; whether through a great farm location or wedding favours. Look for these new listings in our features section. Don’t forget the flowers! They can be found under flowers, fresh cut in the products section. Take a look at our product index. You will find a wide range of local food and other agricultural products available. I urge you to be open to trying new products, and encourage you to visit many of the farms in our Guide this year. 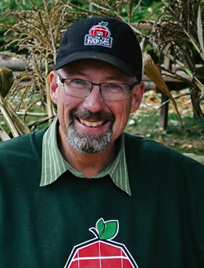 Take the time to talk to our farms about their products; how they are produced and how best to prepare and use them. On behalf of our farmers, I extend a special thank you to our many customers and the advertisers who support our farmers. The Guide is available at all of our listed farms, but it is also distributed through the Vancouver Public library, the Otter Co-op, Tourist Information Centers, and the Fraser Valley Regional Library. We thank them for their continued support of local farmers.